When you shop for steaks what do you look for? Price? Amount of marbling (flecks of fat within the muscle)? Portion size? Lean vs fat? Or do you shop for a specific cut? Ribeye? T-bone? Filet? The intramuscular marbling is what makes a cut of meat tender, flavorful, and juicy. Usually the more marbling a steak has the better the eating experience will be. So naturally this would make us seek out highly marbled cuts of meat right? Yes and no. Highly marbled ribeye steaks. Marbling (flecks of fat within the muscle) increase tenderness, juiciness, and flavor. 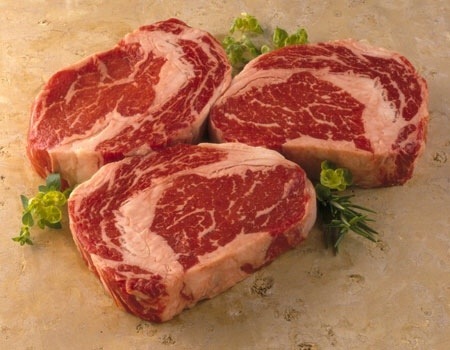 Very highly marbled cuts of meat are generally reserved for higher end restaurants, and the highest marbled beef is called Prime (Yield Grade 1). The primary reason Prime steak is not commonly sold in the retail sector is that only 2 to 3% of cattle in the U.S. grade Prime! For more on how meat is graded check out this document. In retail settings we will generally see Choice and/or Select cuts of meat. Choice cuts of meat also have a significant amount of marbling, where Select cuts of meat will have less marbling (making them leaner too). 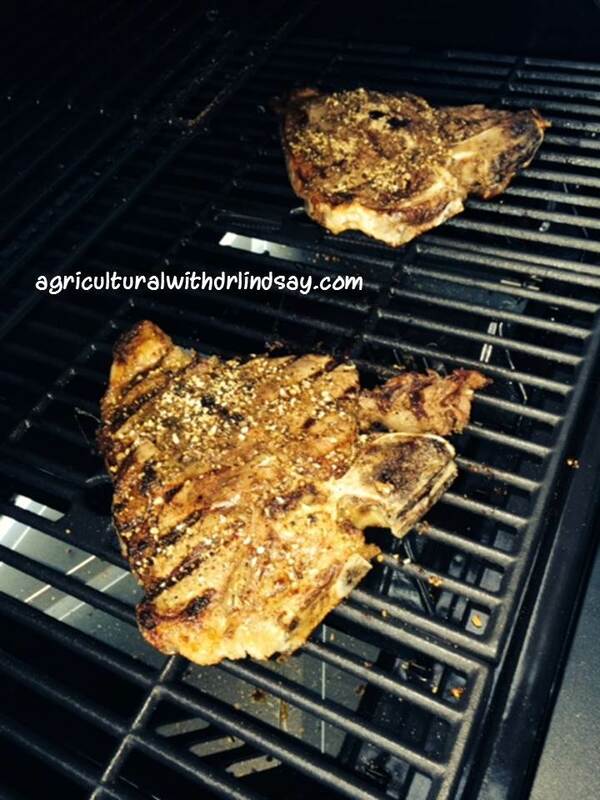 My favorite way to eat a steak is grilled! Yum. How much marbling do you like in your steak? Where is your favorite place to get a steak? Are you prepared for a flood?